The automobile was one of the most revolutionary creations of the 20th Century. It was also one of the most deadly. While operator error plays a significant role in the estimated 30,000 crash-related deaths reported in the U.S. annually, there is a growing recognition that in some cases, vehicles and/or their parts are defectively designed or manufactured. 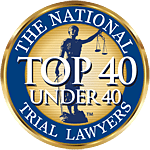 At Associates and Bruce L. Scheiner, Attorneys for the Injured, our attorneys are familiar with a number of recent cases in which evidence has emerged indicating automakers knew of these dangers and not only provided inadequate warnings but actively concealed the risk from consumers. The U.S. Code for Motor Vehicle Safety, Title 49, Chapter 31, defines motor vehicle safety as the performance of a vehicle in a way that protects consumers against an unreasonable risk of accidents or injury. Safety defects are broadly defined as problems that exist in a motor vehicle or component that pose a safety risk and likely include a larger group of vehicles. Hyundai Motor Corp. recalled 9.9 million and sold 8.7 million. Mitsubishi Motors North America recalled 5.3 million and sold 4.8 million. Volkswagon of America recalled 10.2 million and sold 9.7 million. Volvo Cars of North America recalled 3.3 million and sold 3.1 million. Chrysler Group recalled 63.2 million and sold 63.2 million. These manufacturers don’t even represent those with the highest number of recalls. General Motors, for one, has recalled 99.3 million vehicles since 1987. Ford Motor Corp. has recalled 97 million, Toyota Motor Corp. 38.6 million and American Honda Motor Corp. 31.1 million. The New York Times reported 2014 had a higher number of autos and auto parts recalled than any other year in history – more than 60 million total. That is more than double the previous yearly record set in 2004. In all, there were roughly 700 recall announcements, which breaks down to an average of two every single day. Cumulatively, those recalls affected 1 in every 5 vehicles on the road. Subaru recalled 200,000 vehicles for the second time to repair a faulty brake line. Meanwhile, the National Highway Traffic Safety Administration, the No. 1 auto regulator in the U.S., received some 80,000 consumer complaints concerning possible auto defects in 2014. That is more than double the annual average. It’s worth noting that even when recalls are issued, it does not excuse auto manufacturers from liability caused by dangerous vehicles or defective vehicle parts. One of the biggest problems identified in the recall process is the lack of compliance, which often has to do with the fact automakers mail recall notices to consumers. A 2011 report by the Government Accountability Office indicates U.S. auto recall completion rates are between 55 and 75 percent. This method is particularly flawed when it comes to tracking down owners of older and used vehicles. To put it into perspective, if just 65 percent of the reportedly defective Takata airbags are fixed, that would mean some 6 million vehicles would still be on the road with potentially explosive air bag inflators. Yes, consumers have a responsibility to make their safety a priority. However, auto manufacturers have a duty to make a product that is safe in the first place.